NEED TO FIND A BRIMAR REP? 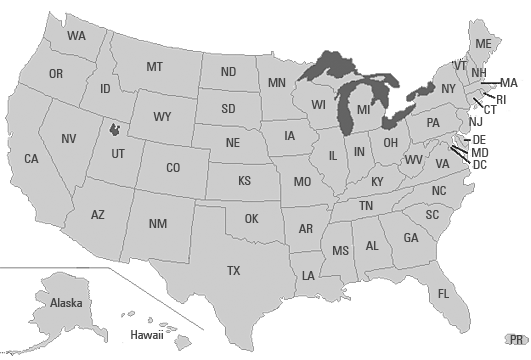 The map above highlights (gray) the areas in the continental U.S. where Brimar's Representatives are located, for security reasons we don't display our Reps names on this website. To obtain the Rep name in your area, please fill out the form to the right for Brimar to put you in contact with your Rep. Please answer the following questions so we can quickly respond to your inquiry. A Customer Service Person will respond back to you in the next 24 hours or sooner.